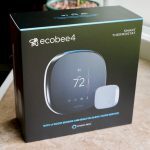 The Ecobee4 Smart Thermostat is the latest and greatest competitor in the smart thermostat industry! It has a responsive touchscreen display, proximity sensor, remote temperature controls, and has smart integrations with web apps and Amazon Alexa skills, Samsung SmartThings, and Apple Homekit. Let’s set the record straight. The Ecobee4 smart thermostat is the smartest thermostat on the market. Hands down. 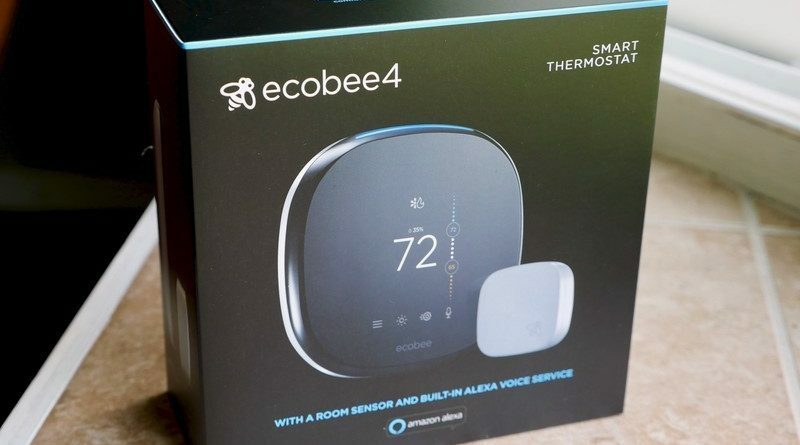 Ecobee is one of the oldest players in the thermostat business for some time. Nest had disrupted their handle on the market with their stylish Nest Learning Thermostat. Half a decade later, Ecobee has released the Ecobee4 Smart Thermostat as the final crushing rebuttal. What can the Ecobee4 Smart Thermostat do? The Ecobee4 Smart Thermostat literally has motion and proximity sensors, so it knows when you are home and when you are outside of the house. It will learn your daily and weekly moving patterns to optimize the energy output of your air conditioner, saving you money and paying for itself in time. The Ecobee4 has motion sensors which can detect moving patterns and identify how much time you spend in certain rooms. It also figures out how much time, and when, you spend outside of the house. 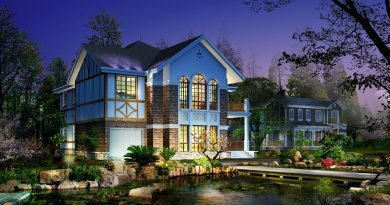 This allows it to reduce your monthly energy bill substantially in practice. The proximity and thermostat sensors also can find cold and hot spots throughout your house, for a perfectly even smart home temperature. The nest was previously the greatest smart thermostat provider on the market. Not anymore! The Ecobee4 has far more functionality, skills, features, and has smart sensors(proximity, motion, and temperature) to learn where and when you need your air conditioner and heating to work. They both look equally impressive, however. The Ecobee4 has very similar features to the Ecobee3 Lite, except for the fact that the Ecobee4 has the addition of full Alexa Capabilities, complete with microphone and speaker, essentially being its own virtual Alexa point of contact. The Ecobee3 also does not have the smart sensors that really give the Ecobee4 the reason for being the smartest thermostat on the market. They really did listen to the feedback from their previous versions and iterations of the product. Now, to adapt and function with more control over large, advanced HVAC systems, they have added more wiring terminals to a total of 12, allowing you to control multiple dehumidifiers, humidifiers, ventilators, heaters, and air conditioners with ease. I’ve been looking into this topic for around two weeks at this point and this is actually the first page which is sensible. How come it’s so hard to find good tips regarding protection today? Certainly understand the energy you spent placing your concepts in to words so newbies similar to myself can certainly take a step. Maybe there is a part 2 with your post? Thanks again!